A happy office is a successful one and when the time comes to get ready for a move to newer premises, the moral is usually pretty high. But what happens when you’ve already done the deed and the staff seems a little down in the dumps? This can be the case when you anticipate something for so long and the inevitable anti-climax rears its ugly old head. So how can you meet this imposter head on and come away with some happy workers once more? Well how about looking at some fantastic Kickstarter projects that are screaming out for some office loving? We’ve featured some of the best ones right here and offer an unbiased review on each for your lucky people – Enjoy! If you’ve been waiting for a 3D printer to hit your office, why wait any longer? 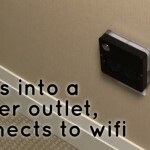 This Kickstarter bad boy has got a lot to offer and it won’t cost the earth. In fact it stands up pretty well with a similar spec 3D printer that costs 4 times as much. 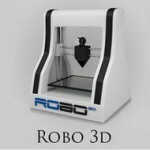 In fact, the five hundred buck price tag makes RoBo 3D Printer a no brainer for all small offices out there. It’s an open source model and is far easier to use than the factory standard models that have swamped the market recently. The quality is stunning and it actually looks pretty slick as well, if you’ve not seen a 3D printer in action before, you will be amazed. Your staff will also get a kick out of the RoBo 3D and the R&D team will be signing your praises from the treetops when they see this rock up on Monday morning! Whilst we are on the subject of 3D peripherals, how about a 3D mouse for your presentations? 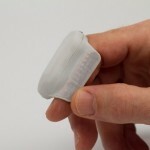 The Mycestro clips onto your finger and you don’t need a mouse pad in order to get that pointing device up and running. 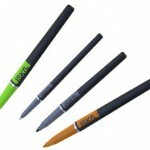 You use your thumb to control the cursor function and the range is almost 30 feet! It uses a wireless protocol to make everything happen smoothly and the Mycestro is compatible with pretty much every Apple and PC device that you can think of. If your presentation team are looking for an extra spring in their step, just pass Mycestro to them and see how they react. It’s the size of a wireless earpiece and you can hardly feel the lightweight device when it clips on for the ride. With an average of 8 hours battery life we just know that this 3D mouse is going to change the way that pointing devices are perceived for ever! If you have an artistic R&D team in your workforce and really would like to make their year, you really should look at this cool project. No matter how sweet you think your iPad is, it can never replace that feeling of a pen on real paper, just ask the professionals. So what happens when they’ve done a killer sketch but need to back it up onto a digital device? Not much, well not much until the iSketchnote came into their lives. You simply put your sheet of paper over the iSketchnote device and write/draw/scribble away to your heart’s content. The sensors within this device will replicate every last nuance of your pen stroke and you get a perfect facsimile stored forever. Zap the results over to your iPad and there you go! You can store at least 100 pages onto a 4GB SD card and you’ll soon be filling that card up with some really good stuff – Have fun! How many of your uber-talented staff are faced with multi-tasking day in and day out? We’re betting most of them, and that’s great but why not make it a little easier on those poor soldiers? Ubi is all about voice activation, and then some! It works with your PC, your laptop and most handheld devices. If you’re busy reading a document but need to check on your latest emails, just ask nicely and Ubi will deliver. The same goes for hundreds of different applications. Why not order a few of these cool gadgets and see how your workforce repay you at Xmas time? These 4 beauties will soon get that old spirit back and you’ll soon see some impressive results to match that cool new office you’ve just moved into! Jenny Wadlow, the author of this article, is a freelance blogger, currently writing for, CommercialSpaceToronto.com, leaders in commercial real estate. She is passionate about food and enjoys cooking for her kids.